Okay, so does anyone remember that elephant in the room that occupies my basement? Well, here’s the photo that accompanied that post 4 years ago. Pretty awesome, huh? Back then, we’d planned to have it taken care of — as in, removed. 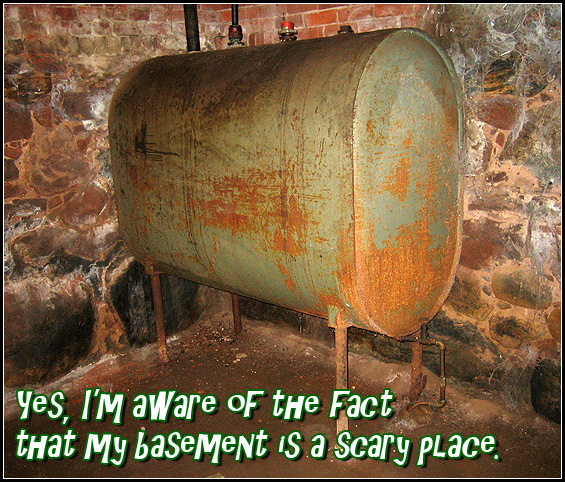 And, well, here’s a photo of what that side of the (still scary) basement looks like today. Yep, we’ve been harboring this “environmental disaster waiting to happen” for nearly a decade now. 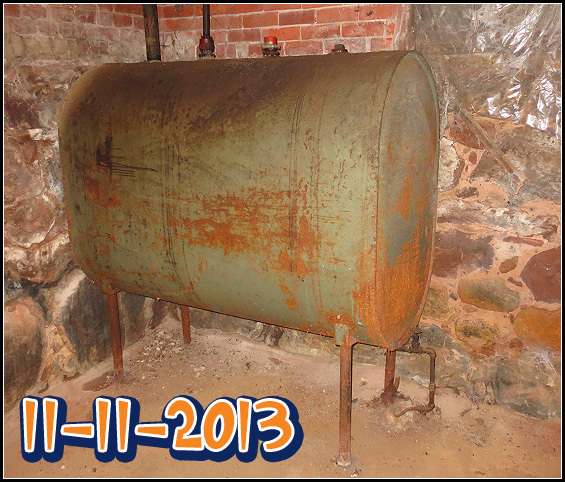 There are 200 gallons of heating oil in that rusty thing and there hasn’t been a week gone by that I haven’t feared hearing the sound of the sump pump kicking on to pump out a flood of heating oil. I’m not certain what would occur if that scenario ever became a reality but I imagine it’d be a lot like the move E.T. where they’d wrap our whole house in plastic and send men in space suits in to “clean it up”. Either way, it’d likely be financially damning. But I have some good news to report — the tank (and the oil inside) will be gone in a matter of days. Dude, this loooooong overdue $500 project is happening.